That’s a wrap! 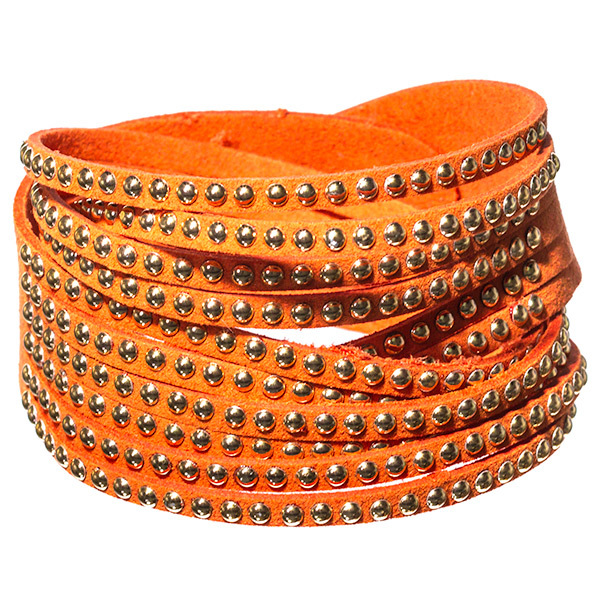 The Elisa bracelet encircles your wrist with sunset orange leather embellished by a continuous row of gold studding. An essential with brown cowboy boots and a silk floral dress for Coachella-chic. Order now and take your collection of fashion accessories to new heights! Fun, formal, chic or unique….we have it all!